Bold and smoky hazelnuts give this Hazelnut Amish Friendship Bread recipe variation a healthful, sophisticated flavor boost. Thanks to Kitchen Friend Diane Siniscalchi for submitting this recipe! 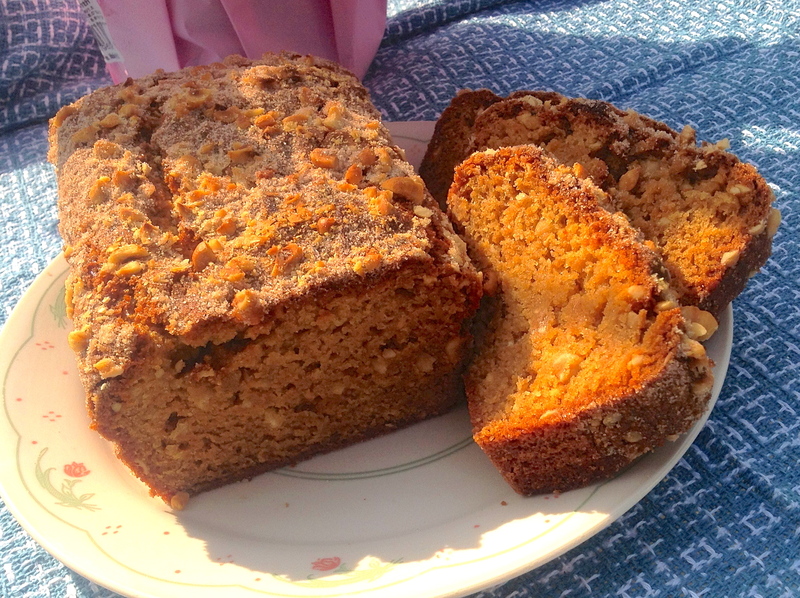 Bold and smoky hazelnuts give this Hazelnut Amish Friendship Bread recipe variation a healthful, sophisticated flavor boost. In a large mixing bowl, add ingredients as listed except for untoasted hazelnuts. Dust the greased pans with a mixture of ½ cup sugar and ½ teaspoon cinnamon. Reserve and remaining cinnamon-sugar. Pour the batter evenly into loaf or cake pans and sprinkle the top with untoasted hazelnuts and cinnamon sugar. FBK Photo Challenge of the Month: Fun Variations! I used vanilla pudding in my Hazelnut Amish Friendship Bread, but I’ll bet chocolate or lemon pudding would taste really good. Could I use hazelnut syrup (like the kind you put in coffee) in place of the extract? And if I omit the actual nuts would you suggest adding a little bit of extra flavoring to kick up the flavor a notch?